The School of Nursing and Allied Health provides professional learning experiences in kinesiology and nursing. The School’s mission contributes to the University’s mission by providing academic, spiritual and professional excellence to prepare nurses and allied health providers for service in the healthcare and sport management community. The kinesiology curriculum is designed to introduce the student to basic understandings and skills in the areas of human movement, wellness and management of fitness and sport. It fosters the total development of the individual: physically, mentally and socially. An undergraduate student may elect to major in Kinesiology: Specialization in Wellness Management (which does not lead to teacher certification), Kinesiology—Specialization in Sport Management (which does not lead to teacher certification), Kinesiology—Specialization in Athletic Training (which does not lead to teacher certification. Program admission suspended), or Kinesiology—Specialization in Teacher Education (which leads to all-level teacher certification). The degree plan for Kinesiology: Specialization in Teacher Education is located in this Catalog in the College of Education and Behavioral Sciences section. Sport Management is an exciting and growing field of study, allowing practical experience to coincide with classroom learning. The BS in Kinesiology—Specialization in Sport Management at Houston Baptist University provides students an in-depth look at the world of sport as a business enterprise. With a major in Sport Management, students will learn to understand sport as a business with special consideration given to principles of marketing, management, media and law. This degree will prepare students to work in professional sport, collegiate sport and other sport business driven enterprises. The program is unique because it combines both kinesiology and business. Students are required to take a number of courses from the Archie W. Dunham College of Business along with their kinesiology courses to fulfill the requirements of this degree. Documentation of the following requirements is mandatory before the student can begin clinical observation. Studies in a Christian Liberal Arts Core Curriculum. The focus becomes narrow with growth in understanding major concepts in nursing with application of this understanding to individuals and families in courses on the care of individuals with acute, chronic and critical illnesses, and specialty care which includes care of families with mental health problems, childbearing families and families with children. The advanced BSN-level curriculum is developed in a) community health, b) pathophysiology and c) research. The goal of the School of Nursing and Allied Health is to educate nurses to create healthcare delivery systems to meet the needs of individuals, families and groups in society. Healthcare focuses on health promotion and disease prevention, as well as community-based care. The curricula reflects this focus and includes opportunities for service-based learning. 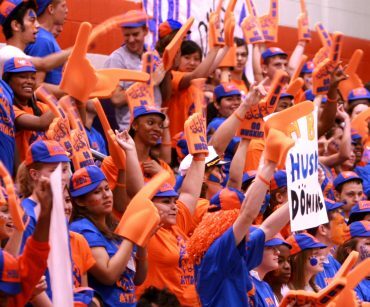 All courses required for the BSN degree are offered at HBU. Applicants to the Nursing program are to meet entrance requirements of Houston Baptist University and are to manifest positive qualities of health, character and personality with the potential to develop good professional character. 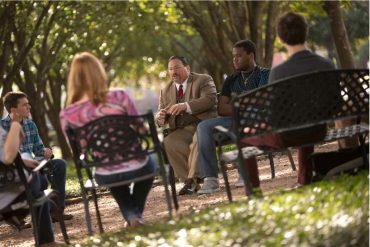 Objective criteria (HESI Admission Assessment scores for grammar, reading comprehension, math, anatomy & physiology, and critical thinking; and grade point averages, science grade point average, completion of all prerequisites toward the degree; and hours taken at HBU), are used to rank candidates for selection for entry into the program, depending on the number of eligible candidates and availability of faculty and clinical experiences. Standardized exams are given at checkpoints throughout the curriculum and a comprehensive exam is administered at the end of the undergraduate programs. The exams are used as measures of retention and competence to enhance students’ ability to take the RN licensure exam. Failure to demonstrate retention or competence on the specified exams requires remediation. Remedial study and retesting to demonstrate retention and competence may result in delays for graduation. Houston Baptist University’s School of Nursing and Allied Health offers a rigorous nursing curriculum that includes academic and clinical performance requirements. To be awarded a Bachelor of Science Degree in Nursing, the student must successfully complete both elements of the program. Students who receive a nursing degree from Houston Baptist University will have been exposed to the skills and knowledge necessary to pass the NCLEX-RN licensure exam and perform the clinical tasks typically expected of registered nurses. The Houston Baptist University School of Nursing and Allied Health does not guarantee that each person admitted to its nursing program will pass all elements of the program, or that those graduated from the program will be able to pass the licensure exam and/or secure employment as a nurse. Attaining these goals depends on the degree to which the student diligently applies him or herself to the studies, and on the economic forces influencing the healthcare industry. Neither of these factors is within the control of the Houston Baptist University School of Nursing and Allied Health. NOTE: RN licenses are issued by the Texas Board of Nursing, not the University. The Board of Nursing may refuse to admit a person to the RN licensure examination if the person has been convicted of any felony or a misdemeanor involving moral turpitude, or to any individual with lack of fitness or good character to practice nursing by any reason of physical or mental illness, intemperate use of alcohol or drugs, or unprofessional or dishonorable conduct which is likely to deceive, defraud or injure patients or the public. Under its procedures, the Board is required to conduct a background check in each of these areas. An individual enrolled, or planning to enroll, in the nursing education program who has reason to believe he or she may be ineligible for the RN license, may petition the Texas Board of Nursing for a declaratory order as to the person’s eligibility. Neither the University nor its faculty can answer this question for a person. The Board of Nursing may be reached at: Texas Board of Nursing, 333 Guadalupe #3-460, Austin, TX 78701, (512) 305-7400, website: Bon.state.tx.us. The BSN program prepares graduates to promote health and healing through direct care and management and coordination of care for individuals, families, groups and communities. There is a core curriculum required of all undergraduate nursing students. The program prepares graduates to take the examination for Registered Nurse (RN) licensure offered by the Texas Board of Nursing. 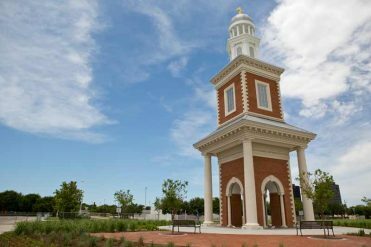 Highly motivated freshmen who are admitted into HBU’s Honors College and who are interested in nursing may apply for joint admission between the Honors College and the School of Nursing and Allied Health. Through this admission, freshmen Honors College students are pre-approved and receive Provisional Admission to the nursing program from the dean of Nursing and Allied Health. They pursue a special coursework sequence which allows them to complete both the Honors College requirements and the BSN program requirements in four (4) years by taking select nursing courses during their sophomore year. 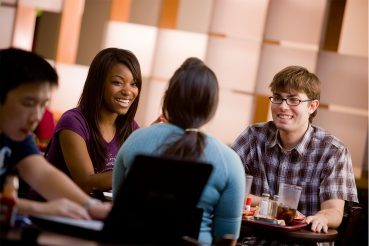 Students must pass the nursing courses and remain full time in the Honors College to stay in the joint admission program. Students can receive full admission into the BSN program in their third (Junior) year after successfully completing all the School of Nursing and Allied Health criteria including criminal background check clearance from the Texas Board of Nursing. The Family Nurse Practitioner (FNP) track will prepare the graduate to function as the primary healthcare provider for clients of all ages. FNPs conduct health promotion, perform health assessment, and manage well, acutely ill and chronically ill clients of all ages in ambulatory and sub-specialty settings. Graduates will meet the criteria to sit for either the American Academy of Nurse Practitioner or the American Nurses Credentialing Center Family Nurse Practitioner certification exam. The Pediatric Nurse Practitioner-Primary Care (PNP-PC) track will prepare the graduate to function as the primary healthcare provider for children and adolescents. PNP-PCs conduct health promotion and child development, perform developmental and health assessment, and manage well, acutely ill and chronically ill children and adolescents in ambulatory and sub-specialty settings. Graduates are eligible to sit for Primary Care Pediatric Nurse Practitioner certification through the American Nurses Credentialing Center (ANCC) or the Pediatric Nursing Certification Board (PCNB). Graduation: Candidates eligible for graduation with a Master of Science in Nursing degree are required to 1) Complete the required semester hours for the MSN track they are enrolled in with a GPA of 3.0 or higher and 2) complete all general requirements for graduation as outlined in the Catalog. The Master in Science in Kinesiology: Specialization in Sport Management prepares students for an advanced career in the business of sport. The MS in Sport Management allows students to hone their skills in the classroom with advanced courses in such areas as sport marketing, sport finance, and sport facility and event management. Furthermore, graduates from this program will further their knowledge with opportunities in internships and research. Graduation: Requirements for a degree in Master of Science in Kinesiology include completion of the degree plan with either the thesis or non-thesis option plus completion of all HBU Graduate School criteria.